Azerbaijan’s Foreign Minister Elmar Mammadyarov met with his Mongolian counterpart Tsogtbaatar Damdin on September 28 in New York on the sidelines of the 73rd session of the UN General Assembly. The ministers held discussions on a range of bilateral cooperation issues, including strengthening of the bilateral political and economic ties, as well as exchanged views on regional and global issues of mutual interest, the Azerbaijani Foreign Ministry told News.Az. 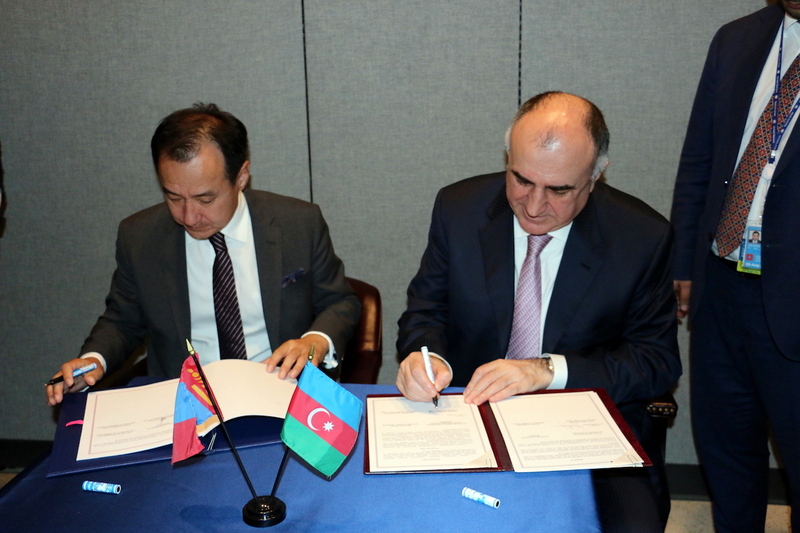 During the meeting the ministers signed “The Agreement between the Government of the Republic of Azerbaijan and the Government of Mongolia on visa exemption for diplomatic, service and official passport holders”.